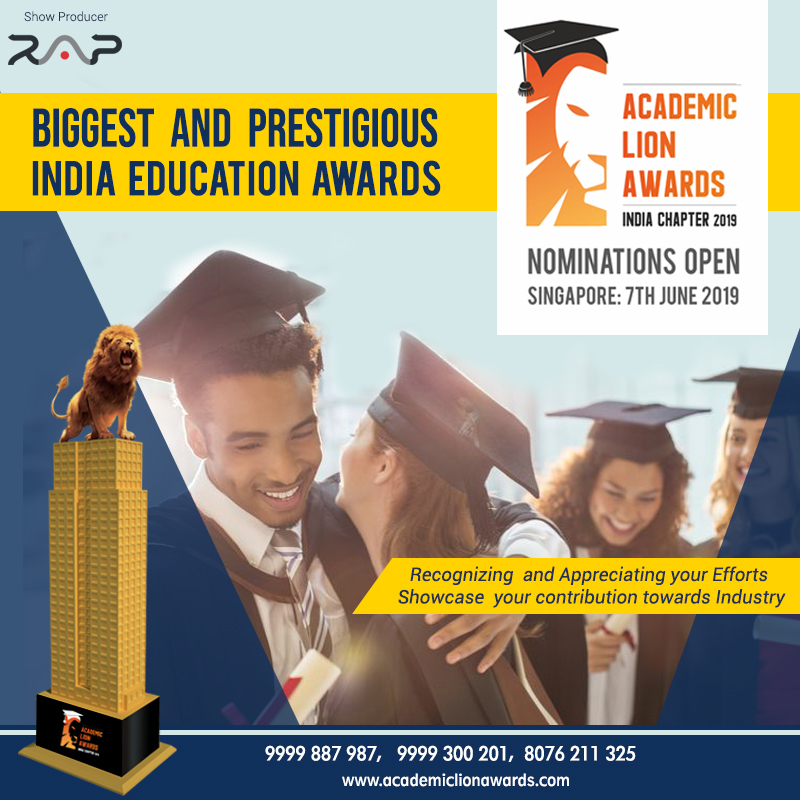 India: RAP Mates in association with Academic Faqs.com with pride introduces “Academic Lion Awards” an award show to acknowledge and appreciate the achievements of Indian academic Industry and it’s allied industries. The Felicitation ceremony is organized at Singapore Marriot on 7th June 2019. “ RAP Mates, global show producers, with partnered offices in Canada and US, operating intimately not only with academic industry of India but has footsteps in different sectors and fields with worldwide methodology and nearness. This is the first run that is planned on international level, explicitly in a place like Singapore which is more than just a destination and known as knowledge hub. 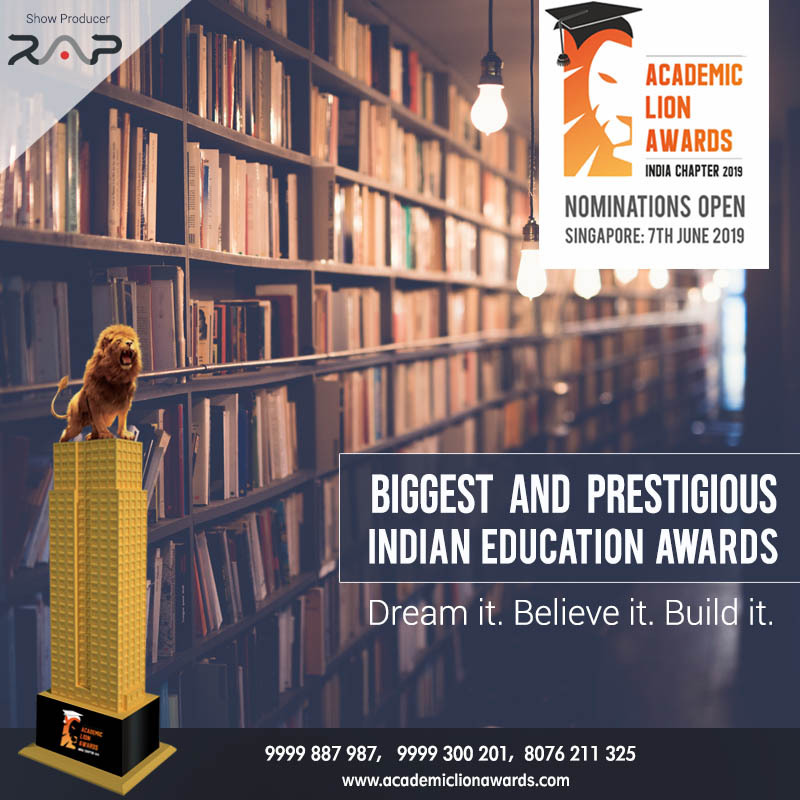 The first ever and the biggest International Academics Awards to perceive some exemplary leaders, organisations and professionals. Awards with PAN India reach engaging Top notch brands not only popular or known but the ones which not seen or heard yet before with 2000+ expecting nominations. First time ever the award is to be telecasted on 20+ significant channels on International beam. This is an award show with high retention esteem and procuring incredible mileage for the winners. The organizer Director of the associated organization Mr. Raj Dev Acharya in talk said” This is the principal section that we are thinking of and there are many more to come (hoping so). These honors will be the sign of magnificence for education industry and nation’s growth. We are trusting that these awards will be gigantic and fruitful.